We are big fans of the writer Eudora Welty. We are even bigger fans of writers who have passions outside of the written word. 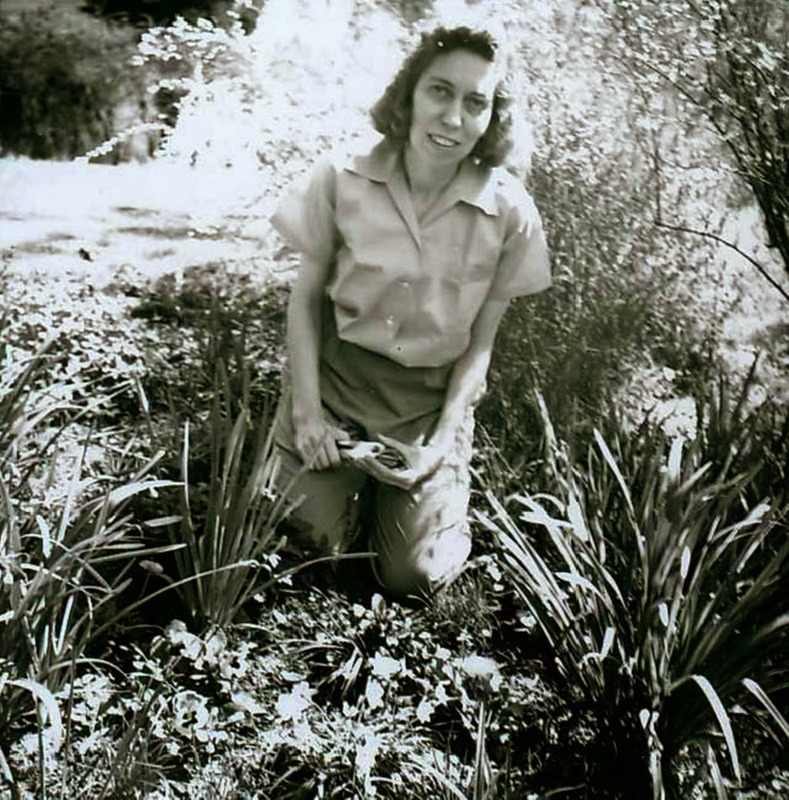 Welty was an avid gardener. Recently, her family garden was restored. The restoration and history of her garden were chronicled in the book, One Writer's Garden. The book was a love letter to Welty and her mother, Chestina and to the garden they built at the family home in Jackson, Mississippi. 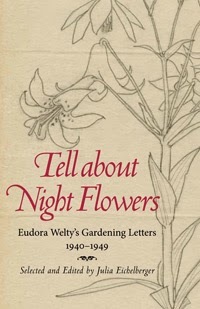 Tell About Night Flowers is a more cerebral book filled with letter written primarily to Diarmuid Russell, Welty's literary agent, and John Robinson, a high school friend and lifelong crush. The letters are written during one of the most productive decades of Welty's writing life, the 1940's. While the letters are initially about gardening, they are really about so much more. These letters illuminate Welty's writing style, her attention to detail, and her love of language. "To see it actually open, the petals letting go, is wonderful, and its night fragrance comes to you all at once like a breath. What make it open at night -- what does it open to? in the same progression as others close, moment by moment. Tell about night flowers." 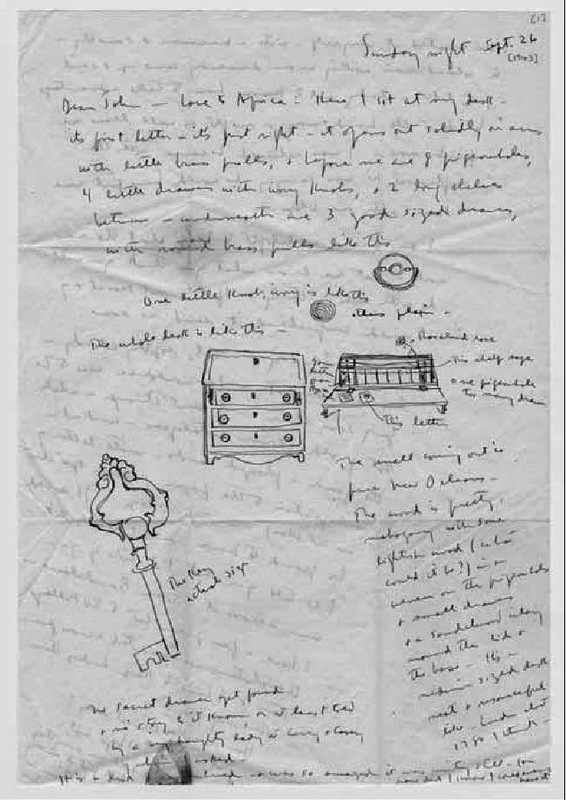 Are the letters about gardening or perhaps about the process of Welty's own writing? We know Weltly as a writer, so there is a natural desire not only to read these letters but to read into these letters a key to the writer's artistic development. Writers are masters at writing about one thing as a surrogate for another. While business between agent and writer come through in the letters, it is the profound love of planting that shines through. Russel tells Welty that he sold a client's book for a huge sum to Hollywood, but his concern is for his irises. "Perhaps they won't do anything unless you come up to say a magic word over them." "I hope you got a tremendous sum -- and that it goes down on next year's income." Later she extols a recent Christmas present of 100 pounds of commercial fertilizer. There is something so wonderful about being overjoyed about fertilizer. It is that joy in simplicity that makes Eudora Welty such an engaging writer. Next to gardening, we love reading about gardening. Actually, we might like reading about gardening more than actually gardening. Tell About Night Flowers fulfills both needs. God, it makes me so happy that people are still willing to publish books like this. And read them, and share them. As much as I love social media, I worry that there will no longer be big volumes of letters.